The key is to optimize both brick-and-mortar and digital channels. The retail landscape is changing…again. It’s well known that many “clicks and bricks” retailers are shifting focus away from the “bricks” and more toward the “clicks.” Some, like Kenneth Cole and Bebe, are eliminating physical stores entirely. Credit Suisse predicts that nearly 8,600 stores will close this year. As this shift toward e-commerce evolves, brands and retailers have been overlooking an important opportunity. When considering an omni-channel strategy, many have focused on e-commerce at the expense of the in-store experience, rather than optimizing each channel independently. I believe that the physical store will always have a place in the omni-channel ecosystem and that retailers can optimize this revenue channel while still focusing on e-commerce. Yet the look, size and function of the store will have to change. Retailers and brands will have to “rightsize” their physical store footprint and adopt in-store mobile technology to become more effective to serve and satisfy customer needs to drive loyalty and repeat purchase. There is value in brick and mortar stores. While online shopping has become increasingly popular due to its ease of use and multitude of options, many shoppers still crave the personal interaction of shopping in a store. Consumers are spontaneous, value instant gratification and relish the ability to try on clothes and interact with knowledgeable and friendly sales associates. Physical stores also play an important role in building awareness for brands. A store in the mall or on the main street is an effective marketing tool and keeps the brand relevant and conveys a sense of confidence and financial well-being to the consumer. So, how do brands and retailers re-invent their physical store presence while continuing to strengthen their digital footprints? Brands are beginning to realize that for a physical store, bigger isn’t always better. However, rather than simply downsizing, brands need to “rightsize.” They need to make these smaller physical footprints more efficient to keep real estate and operational costs low while driving a higher return on investment. 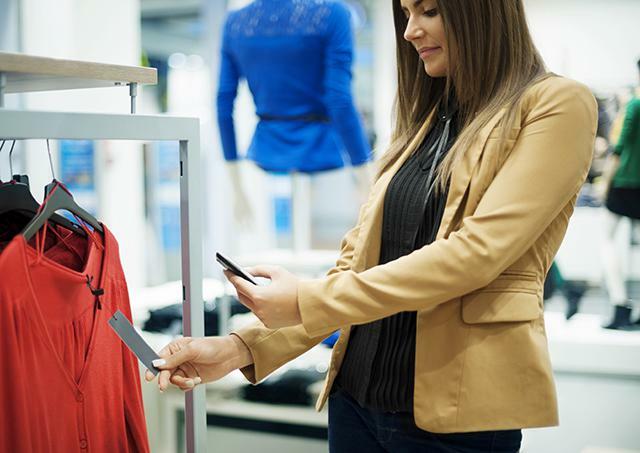 Further, brands and retailers need to integrate mobile technologies into their stores such as store associate clienteling services and endless aisle kiosks that enhance the customer journey. Knowledge at The Store Associates’ Fingertips – Mobile technology empowers store associates to be more knowledgeable than the customer. Is there anything more frustrating than visiting a store and knowing more about a product than the store staff? Store associates who use a mobile clienteling app are empowered to provide valuable, real-time product and inventory information. Store associates can also share looks or products directly with customers via email or SMS. Simplified Purchase Path – In addition to connecting store associates with a brand’s full catalog of products and real-time web and store-inventory, brands and retailers can empower store associates with mobile checkout to speed the path to purchase and eliminate customer frustration associated with long wait times. Enhanced Loyalty – A loyalty program is an ideal way to build a personal connection with a customer. Loyalty information is made readily available via the clienteling app, so store associates have detailed information, such as customer loyalty and points status, discounts and promotions, purchase history and preferences. Interactive Shopping Experience – By providing real-time product and inventory information, customers can interact with the store upon entering. Consumers can engage with the brand’s social media and wishlist features and can save favorite items to their profile. Transactions and online ordering of out-of-stock items can also be completed at the kiosk and mobile payments processed. Expanded Inventory Selection and Availability – Stores no longer need expansive storerooms for inventory or thousands of square feet of retail space to display product. 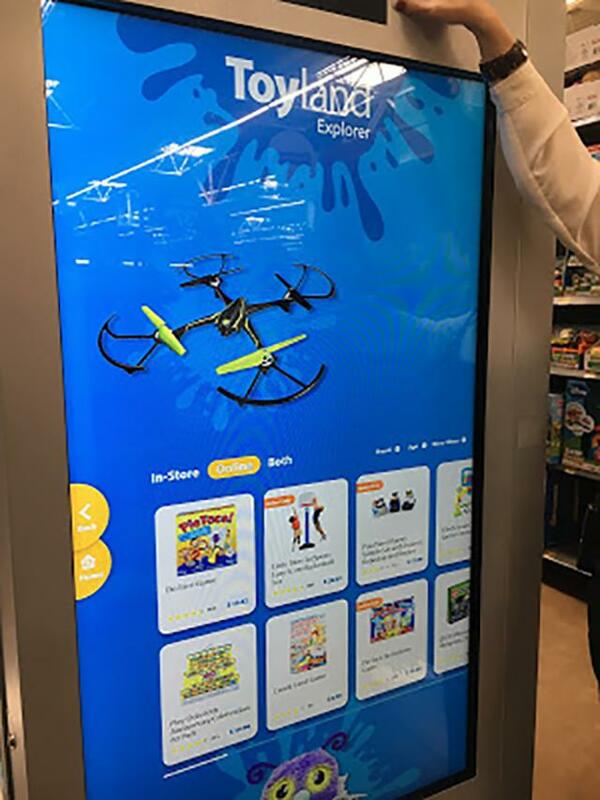 Stores can offer customers the ability to touch and try on a curated selection of products, which would be available for purchase via the kiosk. A Fully Integrated Experience – An endless aisle can help support a true omni-channel experience, by integrating key functionalities such as a CRM, POS and payment processing. According to iQmetrix, 60% of consumers would choose to shop in-store if online services were provided there, and several retailers have successfully bridged the online and offline worlds. Bonobos, the largest clothing store ever built on the web, has figured out a way to optimize both an online and in-store experience for men’s clothing. Initially started as an online-only business, they recently opened showrooms that provide customers with one-on-one service including size and style advice (although sales completed in-store are still transacted online and product is shipped to the consumer.) This personalized service in a small store format is enough of a differentiator to get customers into the shop. Their model appears to be working as their online business flourishes, and it is believed that in-store sales per square foot average $3,000, more than six times that of a national retailer. M.Gemi, a luxury custom shoe retailer, also optimizes both its online and in-store businesses. The company began online, offering hand crafted Italian shoes at reasonable prices. Once established, they opened a small shop in New York City that offers customers the ability to touch the actual product and try on the shoes. Again, purchases made in store (via the company’s e-commerce site) are shipped to the customer a few days later. The small physical space and personalized customer service is complemented with mobile technology that brings the online experience in-store. And finally, Warby Parker is another player that has perfected the balance between its retail channels. 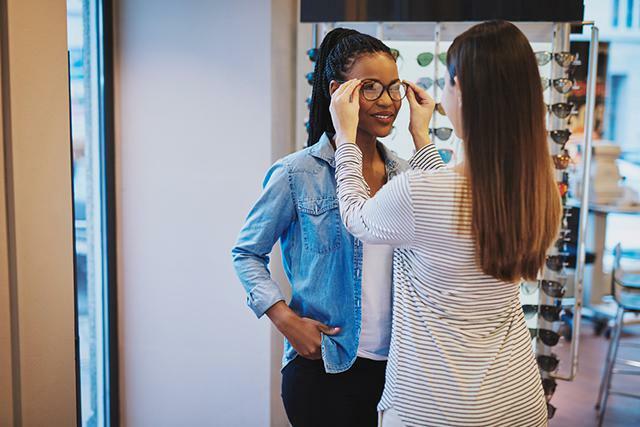 Started as an online-only retailer of prescription eyewear, the company has also mastered the store experience and now operates close to 50 stores that enable customers to try on frames. The company is known for exceptional customer service as its sales associates are well-trained and knowledgeable. And while other retailers are closing stores, Warby Parker is expanding its small physical locations. It recently announced that it will be opening 25 new stores this year. David Bell, a marketing professor at The Wharton School recently said, “Retail of the future will look more like a Tesla showroom than an old-school dealer lot.” I would argue that is not the retail of the future – that is the retail of today. The popularity of e-commerce is forcing brands to rightsize their physical locations – this means smaller, more efficient, tech-enabled spaces that mimic the choice and simplicity of the online experience while offering exceptional customer service that is typically expected in-store. This article was written by Nitin Mangtani from Forbes and was legally licensed through the NewsCred publisher network. Please direct all licensing questions to legal@newscred.com.